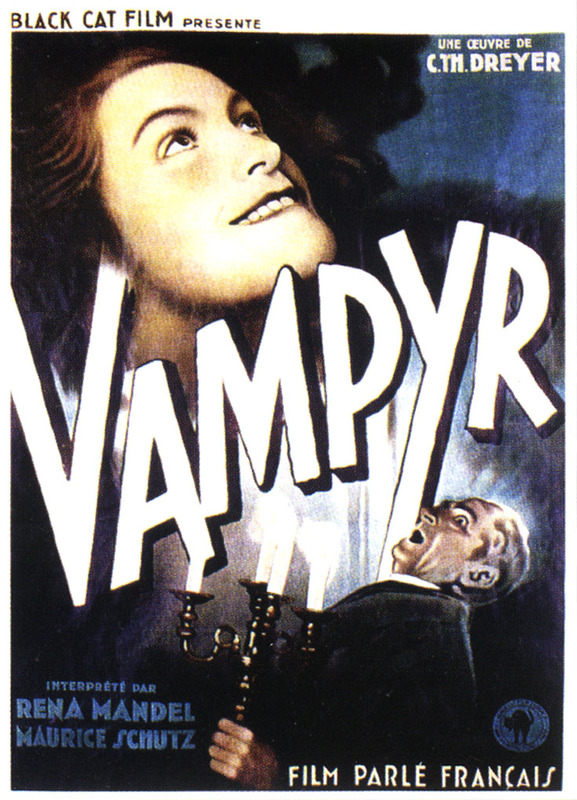 The full title of the film is Vampyr: the Dream of Allan Grey and follows Allan Grey a young man with an obsession for the occult and supernatural. Portrayed by Julian West, Grey is twitchy and slightly gormless looking and finds himself in a riverside inn in the French countryside. In his first night he is awoken by an old man unlocking the door from the wrong side who talks to him about death. Things continue to get stranger for Grey who then sees shadows about the village moving as ghosts with nobody casting them. These include dancing couples, a running figure reflected in the river and a soldier with a wooden leg climbing a ladder who Grey then observes to return to its rightful owner. It is soon revealed that the old man lives in a chateau nearby with his two teenage daughters, Gisèlle and Léone, along with a handful of servants. All is not well in the chateau with both girls appearing to be ill with a lack of blood, and it soon becomes clear that both are the victims of a vampire. The audience learn a lot about the vampire folklore present in this film from “The History of Vampires” by Paul Bonnard that Grey is reading, from which we find out that once bitten by a vampire, the victim then develops a lust for blood and becomes a vampire, thus wiping out whole villages. Alongside the unfortunate family is the village doctor played by Jan Hieronimko, who looks like Albert Einstein who has been left to shrivel in a low oven for ten hours. It is clear from the subject matter of the books Grey (and thus the audience) is reading that he doesn’t trust the doctor with references throughout to previous examples of doctors joining forces with vampires. Vampyr holds with many of the traditional vampire myths, for example being unable to be in sunlight and the presence in one scene of a shadowy bat. However, it plays much more on the relationship between vampire and victim, the hold that the supernatural being has over the victim, compelling them to commit suicide, but also the addictive nature of the victim’s blood and the vampires need for it. Vampyr was the first sound film created and directed by Carl Theodor Dreyer (The Passion of Joan of Arc, Day of Wrath) and as such relies heavily on the use of title cards used in silent films. Based loosely on In a Glass Darkly, a collection of short stories from the nineteenth century by Sheridan Le Fanu, Vampyr is more a series of scenes connected only by the fact Allan Grey is viewing than a fully-fledged storyline. The unconnected feeling however adds to the dreamlike and ethereal quality of the film but also makes it hard to follow. The disembodied shadows and random shots of skeletons seem unrelated to the rest of the film and the ending providing more questions than answers. Fun Fact: Vampyr was originally filmed in three languages, German, French and English and released in both French and German. Only damaged copies of the film survived and it was restored from both the French and the German in the 1990s.